Do I Need Sunglasses in Autumn? Sunglasses are a summer thing, aren’t they? The leaves are changing colour, there’s a nip in the air and the nights are drawing in – autumn is very much here. But that doesn’t mean you should pack away your sunglasses! Although we’re unlikely to have any more warm weather, there are several reasons why you shouldn’t put your sunnies away just yet. Just because the temperature has dropped doesn’t mean the sun (and its ultraviolet rays) has disappeared. In fact, in autumn the sun is lower in the sky, which means that its UV rays are just as harmful – you receive a more direct blast of its rays in your eyes, compared to in summer when the sun is overhead for longer. Prolonged exposure to UV rays can damage your eyes and can eventually lead to eye problems such as cataracts and vision loss. Apart from the harmful effect of UV, autumn also brings with it lower humidity. This can cause your eyes to dry out and become more irritable. This becomes more prominent if you’re engaged in outdoor activities such as cycling. Wearing wrap-around glasses or sunglasses can prevent your eyes from becoming too dry, and will also protect your eyes from dirt and flying debris. Glare is another issue, potentially causing eye damage and temporary blindness. This is particularly critical to avoid when you’re driving, since the temporary loss of vision can lead to an accident. Autumn weather such as rain and fog can also hamper your vision, leading to unsafe driving situations. As you can’t drive in sunglasses in low light conditions, the new DriveSafe™ lenses pioneered by ZEISS are designed to specifically address these driving challenges with your prescription glasses. These lenses are designed to reduce perceived glare, which makes your overall driving experience much safer. Until 30th November 2016, when you buy standard DriveSafe lenses at Leightons, receive a free upgrade to bespoke individual lenses to help ensure that your glasses are perfectly tailored to your prescription. If you’re looking to update your autumn look, why not try new glasses with ZEISS DriveSafe™ lenses? Browse through our range of designer frames and choose the glasses that suit your looks and personality. We will customise your chosen frames with ZEISS precision lenses calibrated as per your prescription. 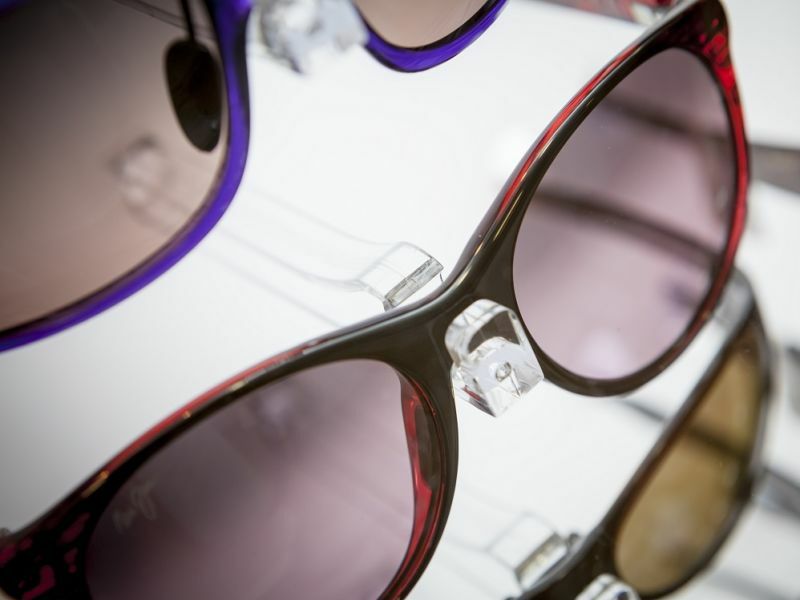 We also have a range of styles in designer sunglasses that are perfect for Autumn/Winter 2016, and we can customise your sunglasses with prescription lenses as well. For more information about protecting your eyes this autumn, call us on 0800 40 20 20 or visit your nearest branch. If you’d like to have your prescription checked, you can also book an eye exam online.